Senator Jeff Van Drew, of the 1st Legislative District, has resigned. Assemblyman Bob Andrzejczak, of the 1st Legislative District, has resigned. Bob Andrzejczak was sworn in as a member of the Senate for the 1st Legislative District. 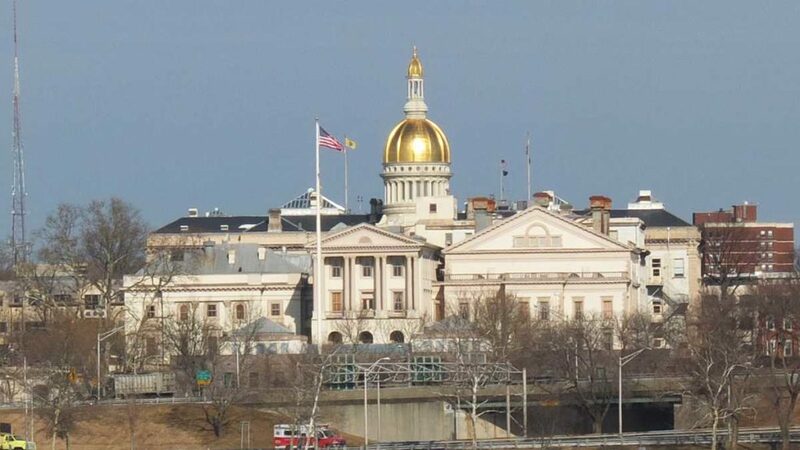 The Members of both Houses of the 218th Legislature met in Joint Session to receive the State of the State Address from the Honorable Phil Murphy, Governor of the State of New Jersey. Honorable H. Matthew Curry, J.S.C., of Phillipsburg. Honorable J. Christopher Gibson, J.S.C., of Clermont. Honorable Robert G. Malestein, J.S.C., of Bridgeton. Honorable James R. Swift, J.S.C., of Millville. Providing for the Legislature to hold a joint session for the purpose of receiving the Governor’s State of the State Address. Erica M. Stevenson, to replace Karen Gentile, resigned. Kathryn Burns Collins, to replace Aline Holmes. Senator Sandra B. Cunningham (31), to replace Gregg L. Zeff. Senator Steven V. Oroho (24), to replace Senator Anthony R. Bucco (25). New Jersey Collaborating Center for Nursing Board: Theresa A. Wurmser, to replace Mary Beth Russell, resigned. The Senate adjourned at 4:45 P.M. to meet again on Thursday, January 17, 2019 (QUORUM, Committee Groups “1” and “2” scheduled to meet). S2297 ScaSca (2R) Kean,T/Beach,J Blockchain Initiative Task Force-estab. SCR118 Cryan,J/Bateman,C+2 Natural gas pipelines-conform w/NJ reg. John A. Hoffman, of Somerset. P.L.2018, c.164. S866 Sca w/GR (2R) Sweeney,S/Vitale,J+2 12/20/2018 Emerg. assist.-extends cert. elig.